Wouldn’t it be nice to go about everyday tasks while making a valuable contribution to the environment? With 87% recycled plastic, the fibre-tip sign pen STABILO GREENpoint will help school children, teachers, parents and professionals do just that. With an extremely comfortable grip, these felt-tip pens are ideal for using when school or work assignments require a great deal of writing. Whether it is making key highlights on the latest revision notes or writing important texts in a standout color, these fibre-tip pens are perfect for so many tasks. The sturdy 0.8mm tip is excellent at everything from smooth, thick writing to making bold, standout diagrams. With their unique design, these are tools that increase productivity while reducing your carbon footprint. STABILO GREENpoint individual pen is rated with mark A - the highest level of overall sustainability performance on the market. This shows excellence in all three assessment levels: products features, manufacturing processes and company management. The STABILO GREENpoint wallets have a B-level score that stands for an excellent level of sustainability. This typically reflects product environmental features above the market average, often together with limited impacts in manufacturing and commitment in company management. 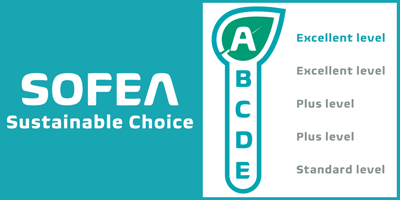 PDF Download of the SOFEA scorecard for STABILO GREENpoint single pens. PDF Download of the SOFEA scorecard for STABILO GREENpoint wallets.